Bernard Cohen was a Professor Emeritus of Physics at University of Pittsburgh (1994-2012). His other institutional affiliations included Carnegie Institute of Technology and Oak Ridge National Laboratory. He is best known for his research on radiation risks and radioactive waste. June 14, 1924Birth, Pittsburgh (Pa.). 1944Obtained BS, Case Institute of Technology, Cleveland (Ohio). 1947 – 1949Assistant, Carnegie Institute of Technology. 1948Obtained MS, University of Pittsburgh, Pittsburgh (Pa.). 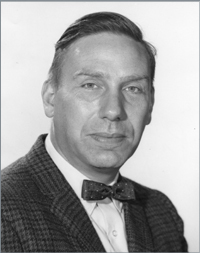 1950 – 1966Physicist and Group Leader (1950-1958) and Consultant (1958-1966), Oak Ridge National Laboratory, Oak Ridge (Tenn.). 1958 – 2012Associate Professor (1958-1961); Professor of Physics (1961-1994); and Professor Emeritus of Physics (1994-2012), University of Pittsburgh, Pittsburgh (Pa.). 1959 – 1960Consultant, General Atomics (GA). 1959 – 1961Consultant, Nuclear Science Engineering Corporation. 1962Consultant, Institute for Defense Analyses. 1965 – 1978Director, Scaife Nuclear Physics Laboratory, University of Pittsburgh, Pittsburgh (Pa.). 1971 – 1975Member, Executive Committee (1971-1973) and Chair, Division of Nuclear Physics (1974-1975), American Physical Society. 1973 – 1976Member, National Council, American Association of Physics Teachers. 1974 – 1975Visiting Staff Member, Institute for Energy Analysis, Oak Ridge National Laboratory. 1976 – 1978Consultant, United States General Accounting Office. 1978 – 1979Visiting Staff Member, Argonne National Laboratory. 1978 – 1980Consultant, McGraw-Hill Energy Systems. 1980 – 1981Chair, Division of Environmental Sciences, American Nuclear Society. 1981Awarded Tom W. Bonner Prize in Nuclear Physics, American Physical Society. 1988 – 1994Member, Committee on Risk Assessment, Health Physics Society. March 17, 2012Death, Pittsburgh (Pa.). Consultant; Physicist; Group Leader, Institute for Energy Analysis; and Visiting Staff Member. Obtained MS (1948). Associate Professor; Professor of Physics; Professor Emeritus of Physics; and Director, Scaife Nuclear Physics Laboratory. Chair, Division of Environmental Sciences. Member, Executive Committee; Chair, Division of Nuclear Physics; and received 1981 Tom W. Bonner Prize in Nuclear Physics. Obtained PhD (Physics) in 1950. Member, Committee on Risk Assessment. AAPM interviews with physicists in medicine [videorecordings], 1990-2014. Before it's too late : a scientist's case for nuclear energy / Bernard L. Cohen. The heart of the atom; the structure of the atomic nucleus [by] Bernard L. Cohen. The nuclear energy option : an alternative for the 90s / Bernard L. Cohen.